Providence has a well known historical neighborhood known as College Hill. 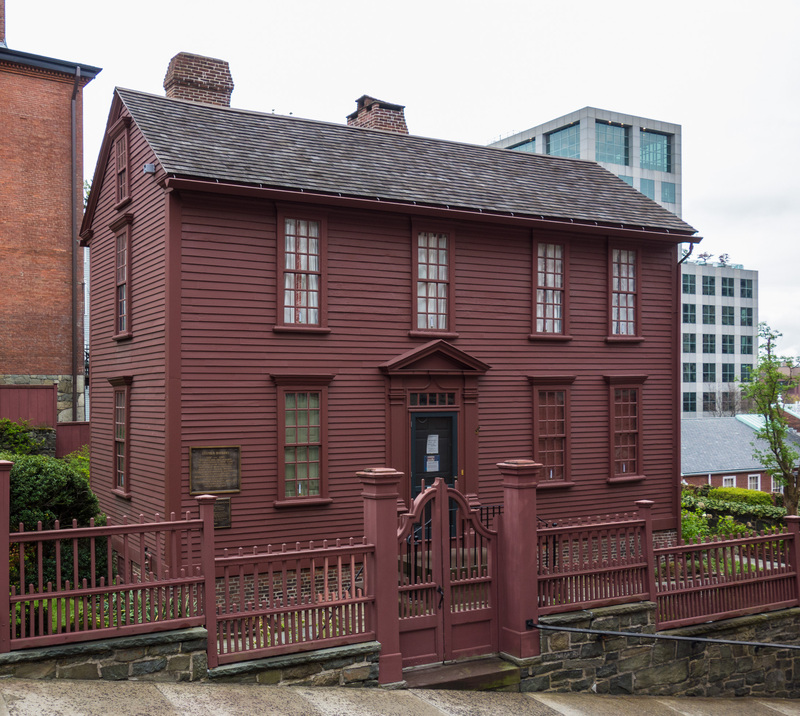 Throughout this neighborhood, there are plenty of different museums and historical houses for your to explore during your trip to Providence! Check out some of our favorite historic spots in Providence that are a must see while you’re staying with us! Governor Henry Lippitt House, photo via LandmarkHunter.com. Henry Lippitt, Rhode Island Governor from 1875-1877, designed and built this historic Victorian spectacle in 1865. Since then, generations of the Lippitt family occupied the house for almost 115 years. Today, it is open to the public as a historic representation of the Victorian Era. For more information about tour times and dates please visit their website. John Brown constructed this house in the late 1700’s. As a prominent family at the time and one of the early benefactors to Brown University, it is said that many famous politicians, such as George Washington, have visited the house on multiple occasions. 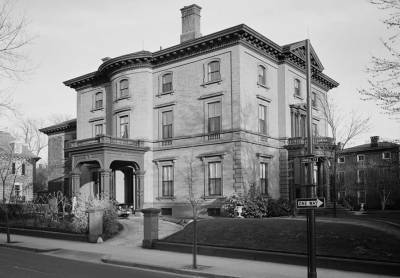 In 1942, The Brown Family donated the house to the Rhode Island Historical Society for preservation. Today, you can take guided tours of the John Brown House. For more information about the house and the tours available please visit their website. The Old State House, via ProvidenceArchitecture.org. There are five former State Houses in Rhode Island that still survive. Most specifically, this historic structure on Benefit Street in Providence, gained its name “The Old State House” after the new State House on Smith Hill was built in 1901. Enjoy a walking tour of one of the most historic streets in Providence. Throughout the summer, on Tuesdays, Thursdays and Saturdays at 11:00 a.m. enjoy historic Providence with a walking tour of the College Hill Neighborhood. The tour begins at the John Brown House and explores many other 18th and 19th century homes. 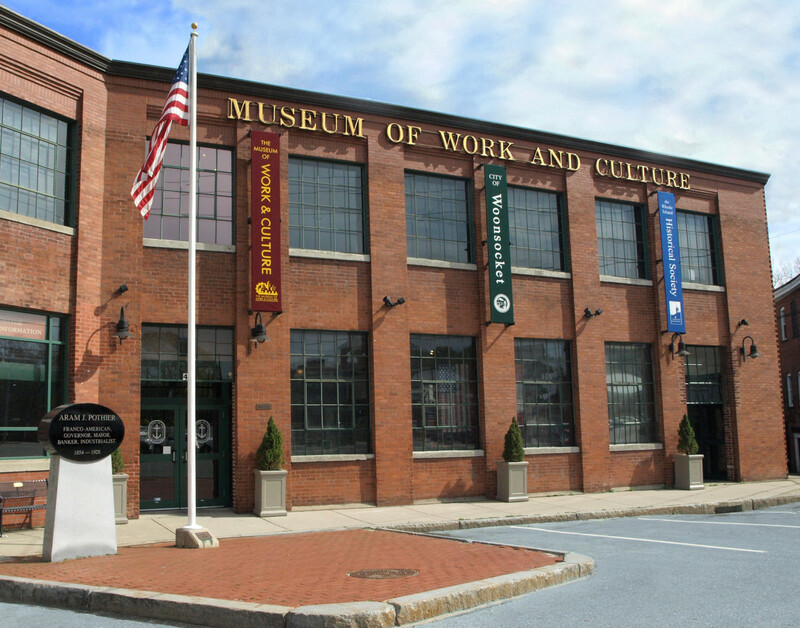 The Museum of Work and Culture, photo via the Rhode Island Historical Society. Come to the Museum of Work and Culture to enjoy the stories and celebrate the people that traveled to Rhode Island in search of a brighter future during the booming 19th and 20th centuries. Learn about their work in the mill town’s historic mills and more! Want to learn about Rhode Island’s history, but don’t know where to begin? Then you should definitely stop by the Rhode Island Historical Society. This building is home to 5,000 manuscripts, 100,000 books, and 400,000 photographs. It is the fourth oldest state historical society in the entire United States! You won’t want to miss this. In 1793, a local firm brainstormed and built a mill on the basis of the idea that they would be able to manufacture items solely by waterpower. 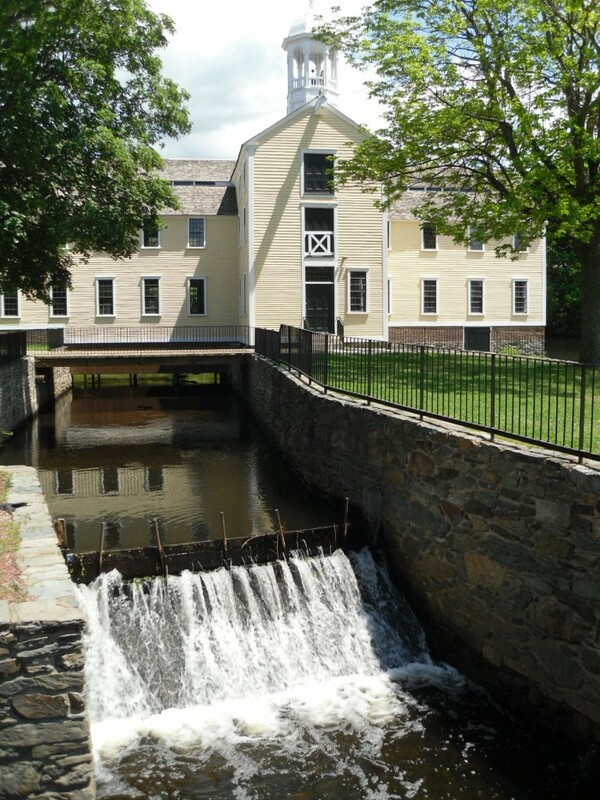 Hence, Slater Mill was created as the first successful cotton spinning factory in the United States. In 1921, a group of business men came together to purchase Slater Mill and restore it as a piece of Rhode Island’s history. Tickets to tour the museum must be purchased online here. Slater Mill Historic Site, photo via Wikipedia. The Providence Athenaeum is Providence’s own historic library. This member-supported library is free and open to the public. It has been open to several famous writers in the past such as Edgar Allen Poe and HP Lovecraft. Rhode Island’s State House offers free guided tours year-round. Come see the third largest unsupported dome structure in the world! Take a self-guided tour of downtown historic Pawtucket, Rhode Island! The tour features over 40 different historic sites throughout the city. 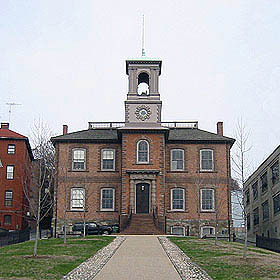 Some of the stops along the tour include, the Old Pawtucket Post Office, Slater Mill Historic Site, and Pawtucket City Hall. Governor Stephen Hopkins House, photo via Wikipedia. Home to the Rhode Island State Governor and the Declaration of Independence signer, this historical landmark is open to the public for guided tours from May to November as a part of the “Mile of History” Program. For more information please visit the Stephen Hopkin’s House Facebook Page.